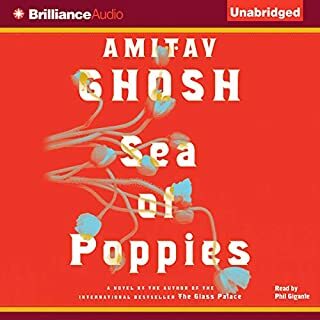 I LOVE Amitav Ghosh and have listened to everything he has on Audible. Without a question, he has improved over time. 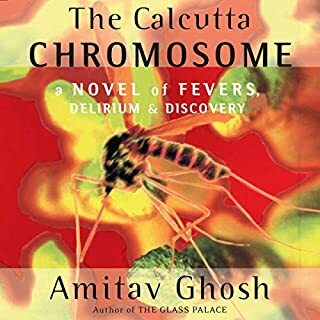 This early novel contains many of the ingredients that make him great: fascinating historical research into obscure but important scientific topics, multiple characters, a sprawling view of India. The storytelling is quite good, but the novel seems truncated. It's a fraction of the length of a more typical Ghosh novel, and I'm not sure if he just had to publish it under a deadline... it just doesn't quite come together. Where is the rest of the novel? I was just getting into the story! 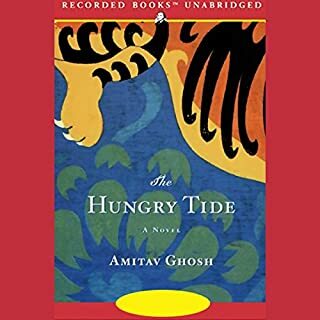 Internationally best-selling author Amitav Ghosh, winner of the Pushcart Prize and numerous other prestigious accolades, pens a sweeping novel full of romantic adventure. Favorably compared to the masterworks of Joseph Conrad and V.S. Naipaul, The Hungry Tide is an atmospheric tale set in a world of wondrous sights...and terrible danger. I enjoyed this book so much. What truly surprised me was Ghosh's ability to write such a sensitive and believable female character, and even fully imagine her reaction to the overbearing, patronizing male characters. As always, the extensive research and detailed settings pay off in a big way. 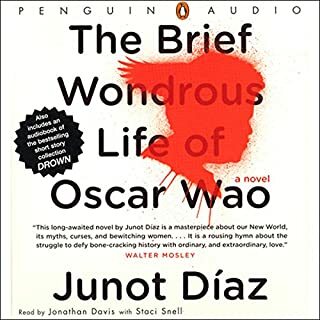 The hours passed happily while listening to this book. 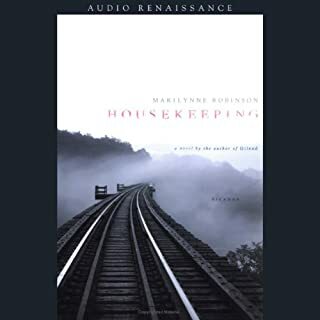 I would have given this book 5 stars if not for the narrator. The material is extremely interesting, and a real page-turner, which is not common in non-fiction writing. The choice of voice actor however is inappropriate, and took a lot of determination for me to get over and keep going with the book anyway. I really had to grit my teeth for this one - impersonal, sounds like he's giving a generic sales pitch, not reading a personal and engrossing sociological account. 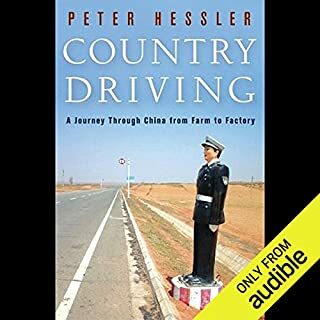 I now want to read all of Peter Hessler's books, but the narrator holds me back. The setup for the novel is fun, but doesn't get very far. 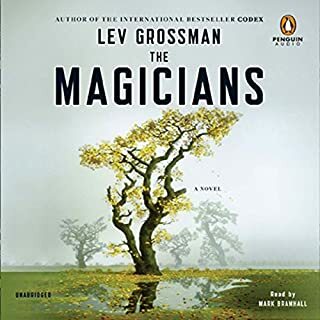 It suffers from many of the flaws of fantasy fiction written by men: the setting is detailed, the battle scenes richly imagined, and none of the relationships are believable. Not the romantic ones, not the parental ones, not ones with teachers - not one relationship rings true. But oh, the voice actor! Possibly the very best voice actor I have yet listened to on audible. Wow. I really loved Gilead, but couldn't get into this book because of the intolerable narrator. I don't normally have this reaction, but her wooden reading style is more suited to the evening news. Maybe. Totally vapid reading style. Too bad, as now I'll have to wait for time to read the hard copy... because I still love this author. When radical New York lawyer Joel Litvinoff is felled by a stroke, his wife, Audrey, uncovers a secret that forces her to reexamine everything she thought she knew about their 40-year marriage. Joel's children will soon have to come to terms with this discovery themselves, but for the meantime, they are struggling with their own dilemmas and doubts. Who would want to hang out with these people? 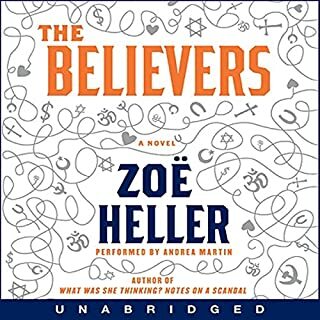 I was excited about this book because I truly enjoyed Zoe Heller's last book. However, the characters in this family are so nasty and dysfunctional, so completely unlikeable, that I couldn't bear to spend any more time in their wretched company. Their ugly family exchanges could not hold my interest and I had to put the book down. 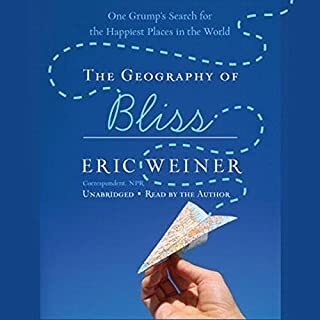 I was excited about this book because I'm very interested in positive psychology. But I don't want to hear the information through this author's NPR-style "grumpy" stance... ugh. Beware the word "grump" in the title! The language is fun, but Dominican history is hard to stomach. Still an enjoyable book. phenomenal performance by Phil Gigante, deserves an award for sure. Fascinating history, meticulous linguistic research by Ghosh pay off in a big way. Can't wait for the next installment! And can we please get audio productions of all of Ghosh's past work? 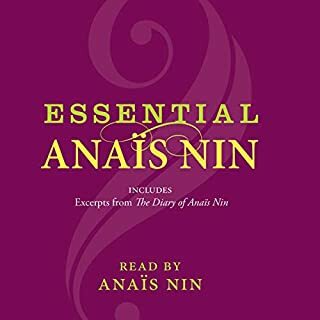 I was excited to see this recording listed, but it's difficult to understand with Anais Nin's heavy accent, which means I've not been able to get through it.